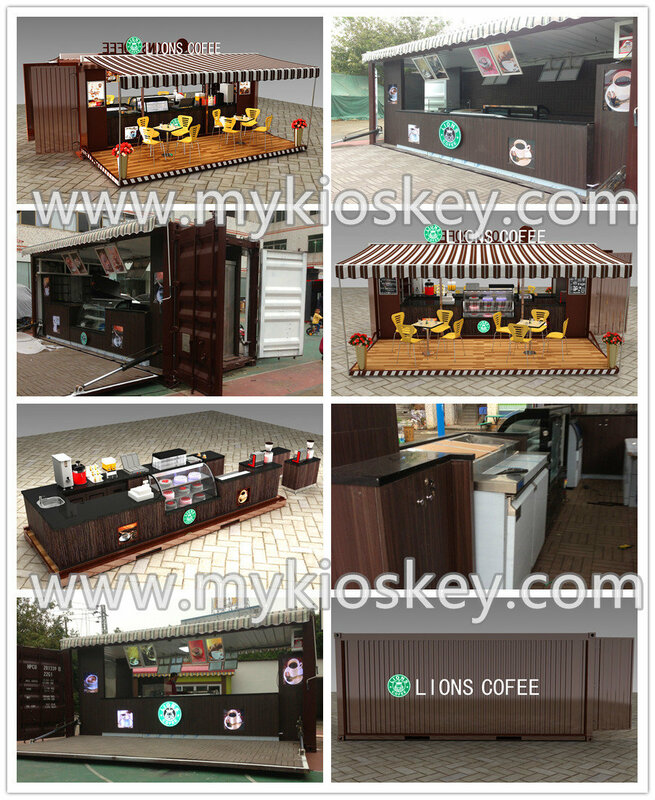 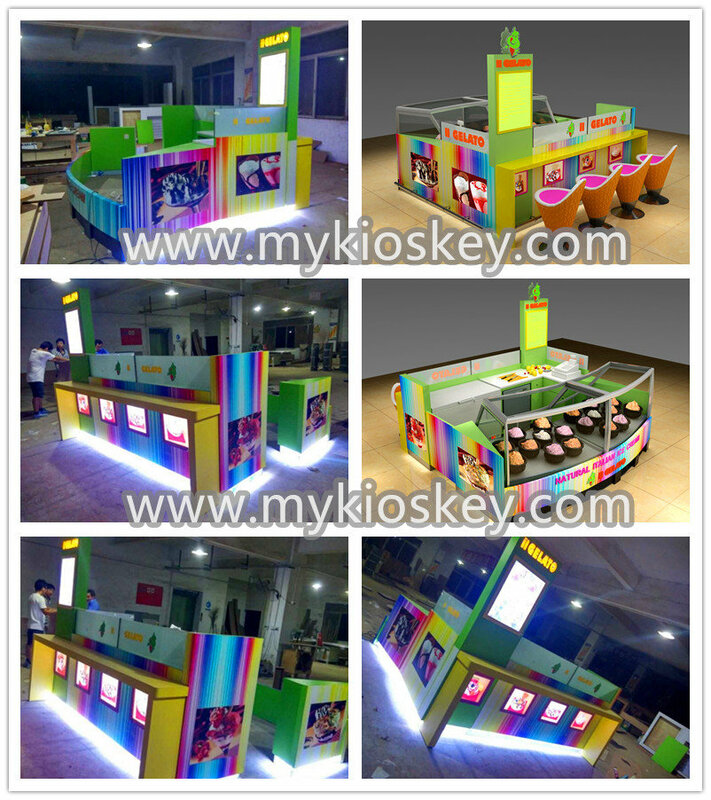 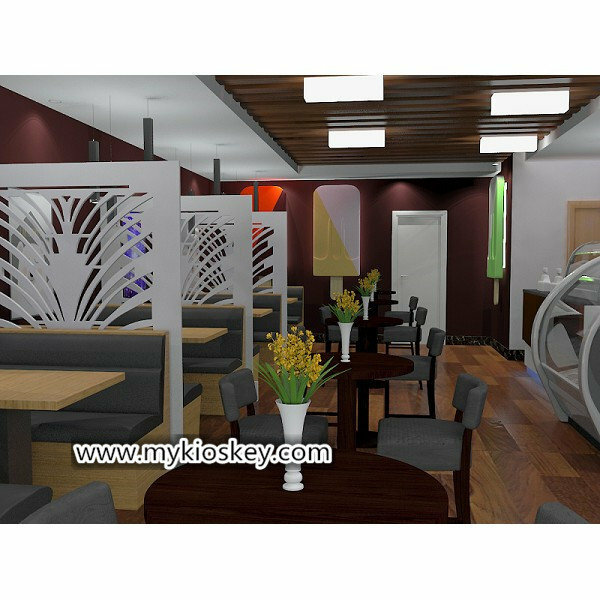 1.The body of kiosk is plywood, the surface is fireproof plate, .Logo is acrylic crystal word with LED flexi-stri which make your logo lighted. 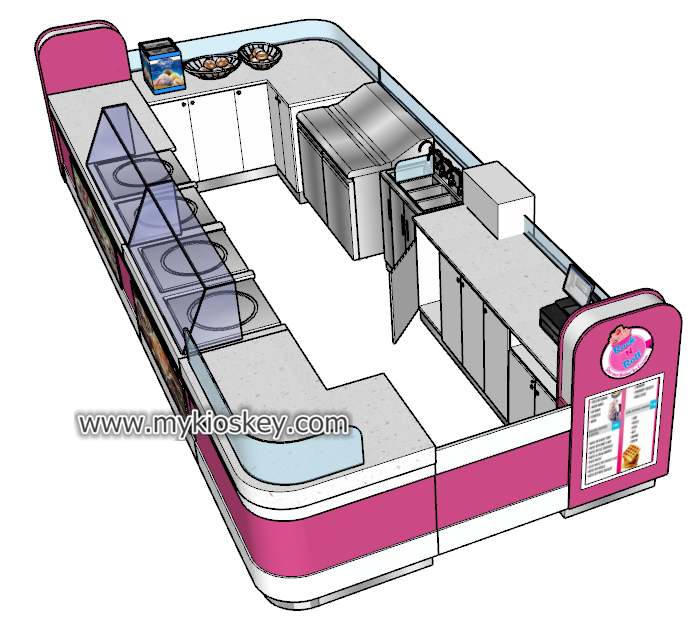 2.Water systerm: Inside the kiosk 2-3 sinks will be install, under the sink, there are 2 tanks, one is for clear water other is for waster water, a water pipe connect the sink and tank form a circulating water system. 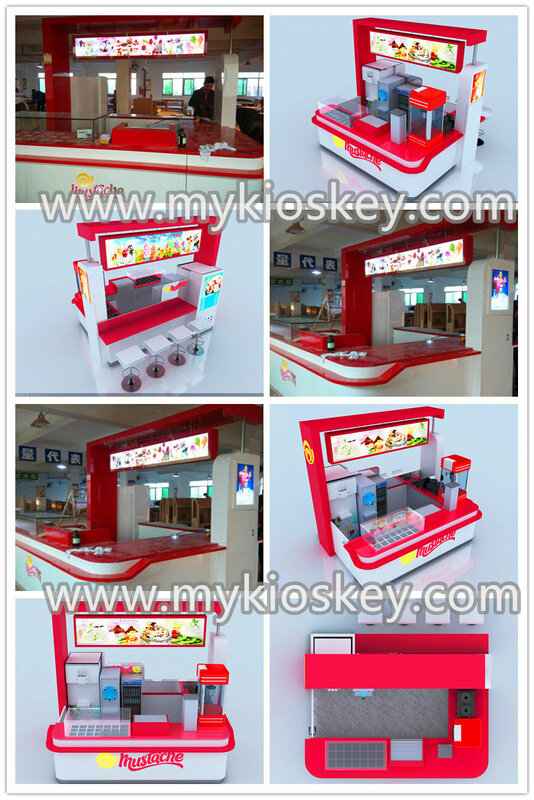 3.Electric systerm:several sockets with electric wire in the kiosk, when you get the kiosk, you only connect the total electricity box. 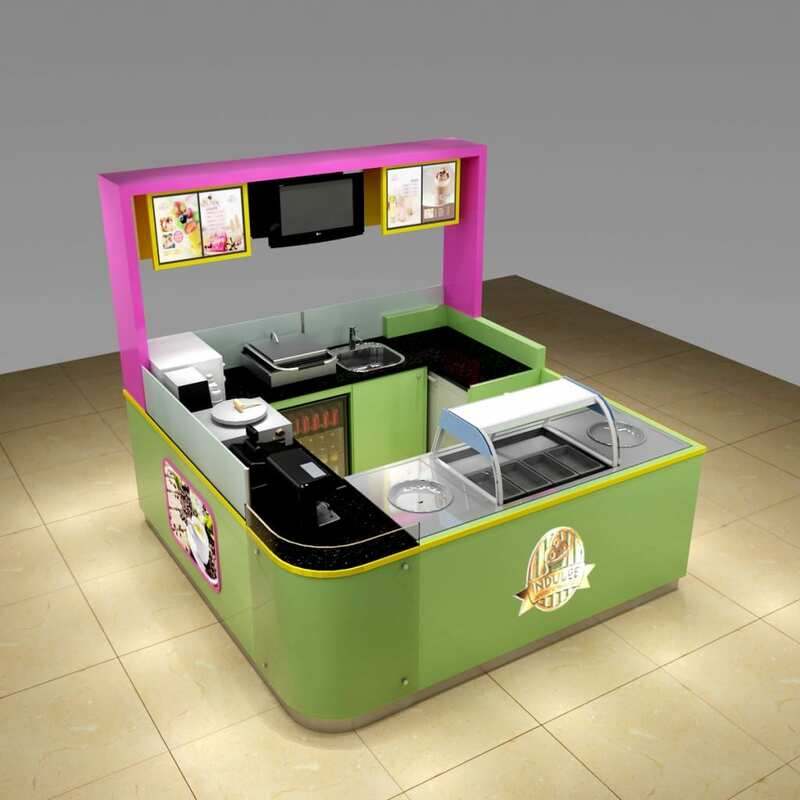 4.Inside the kiosk, there are drawers and storages , also you can put your machine in sach as refrigerator and so on. 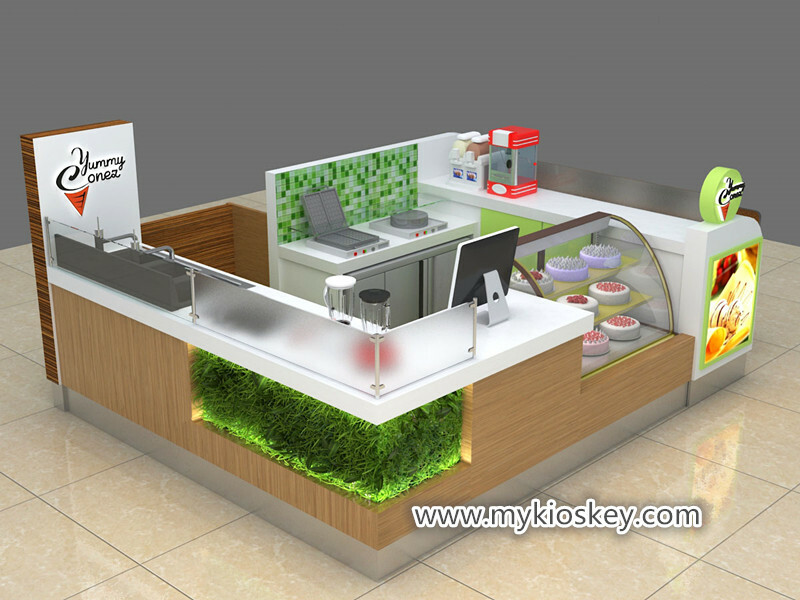 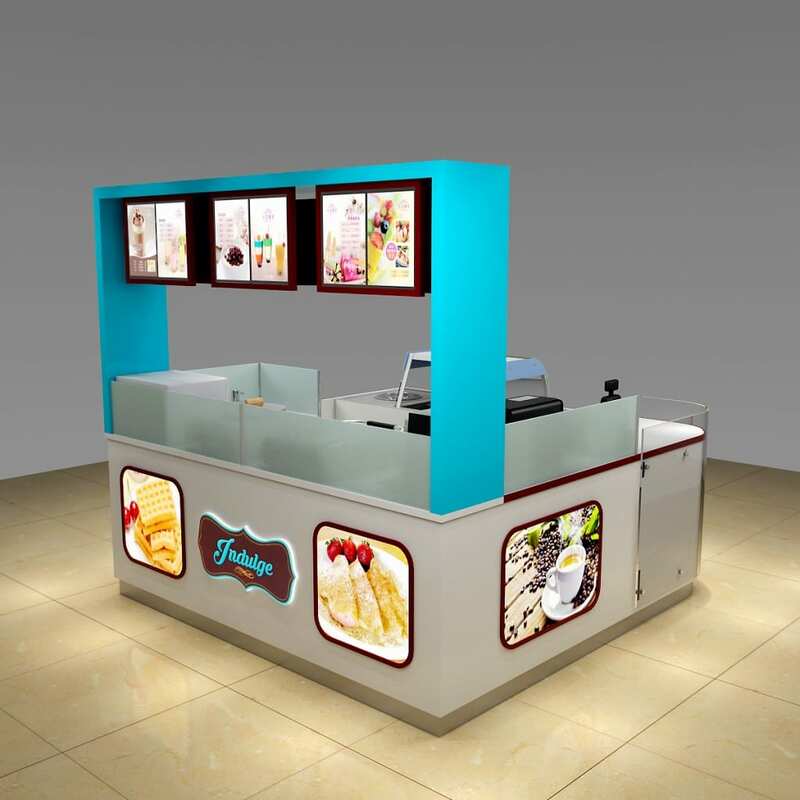 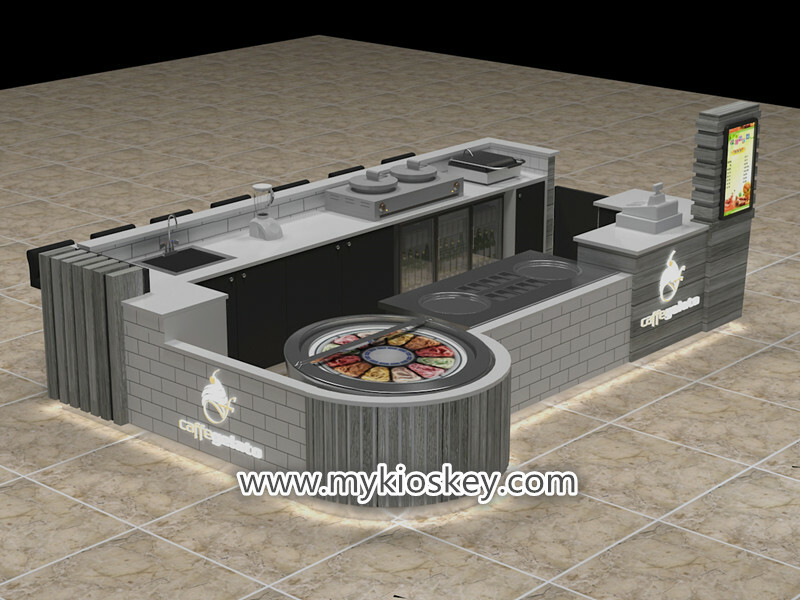 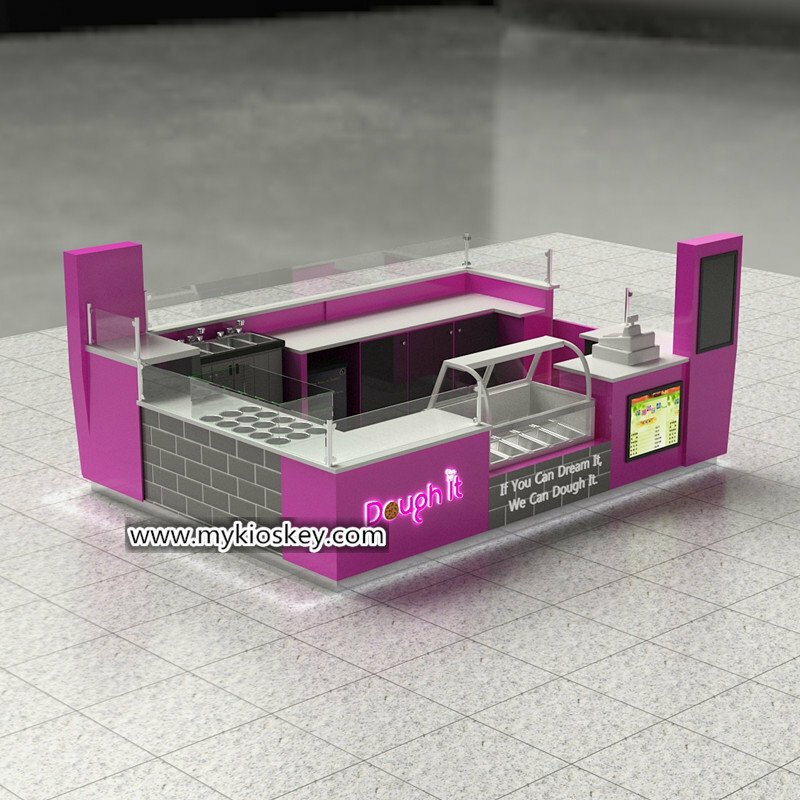 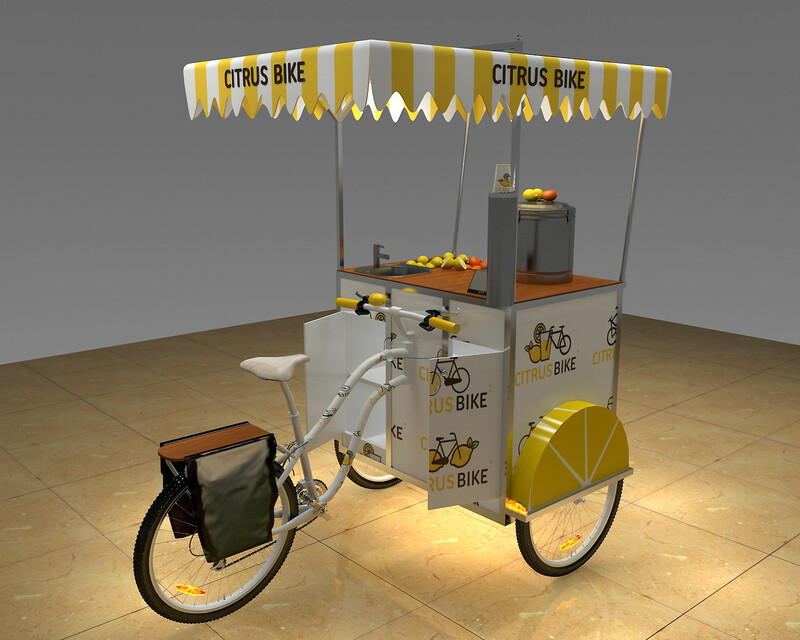 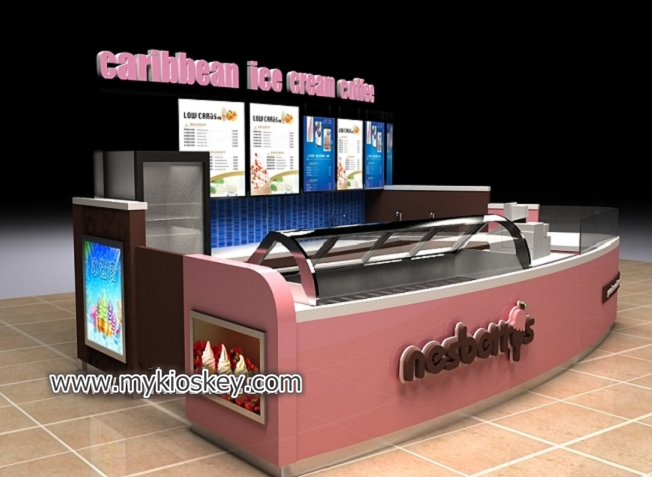 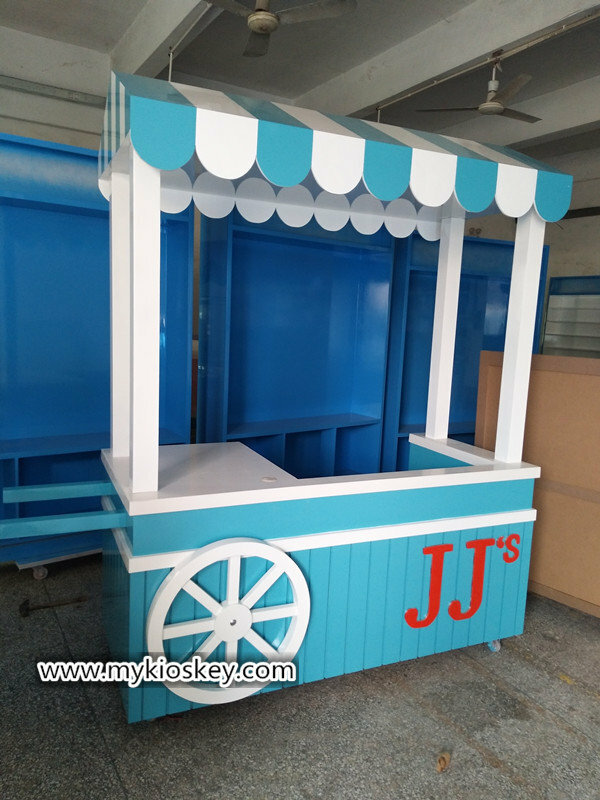 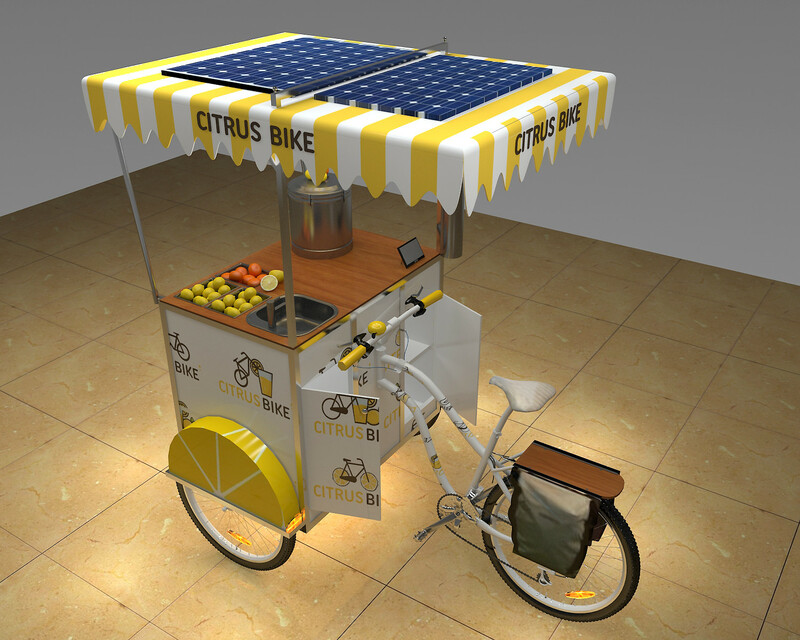 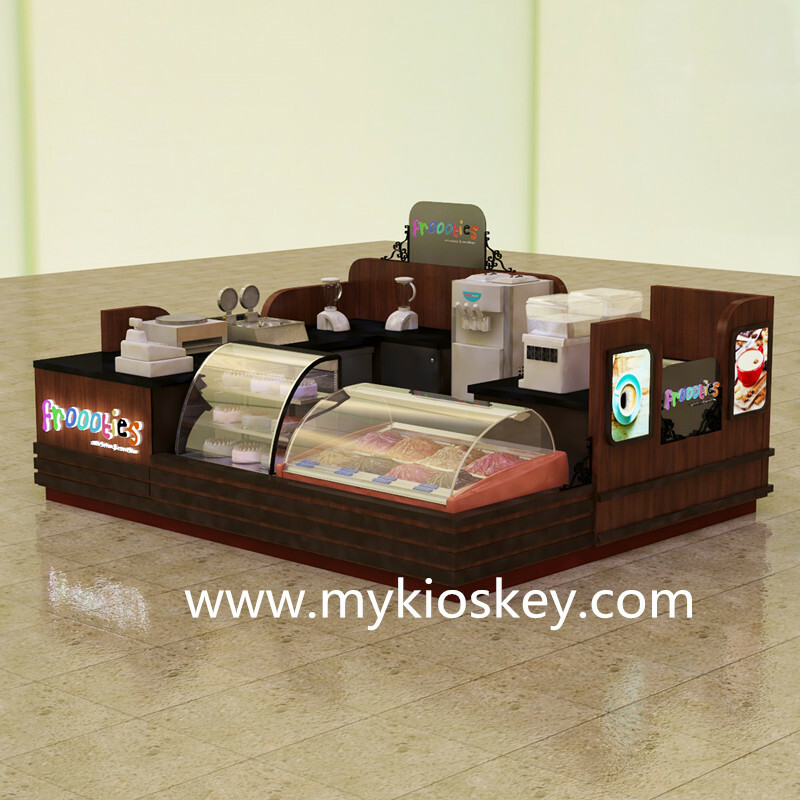 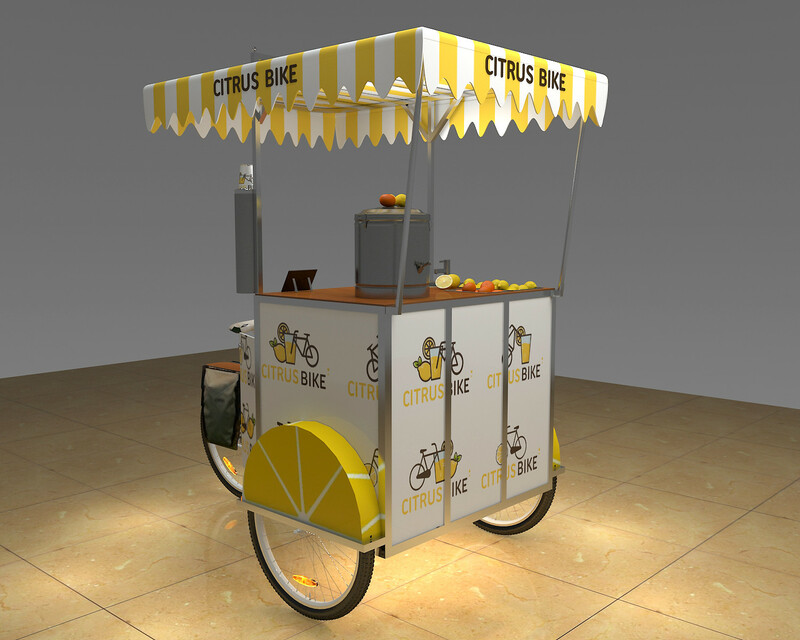 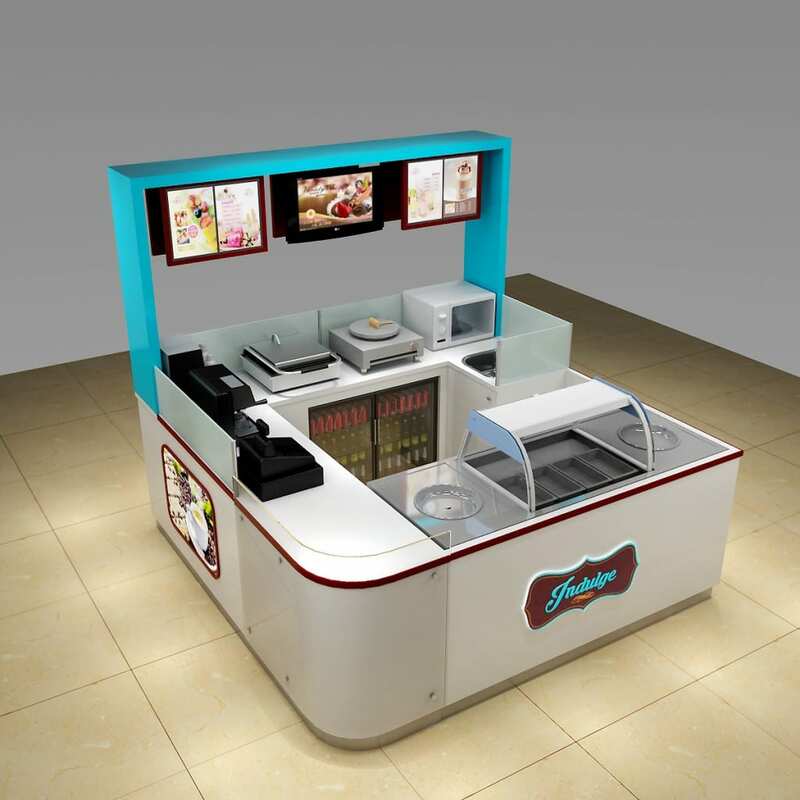 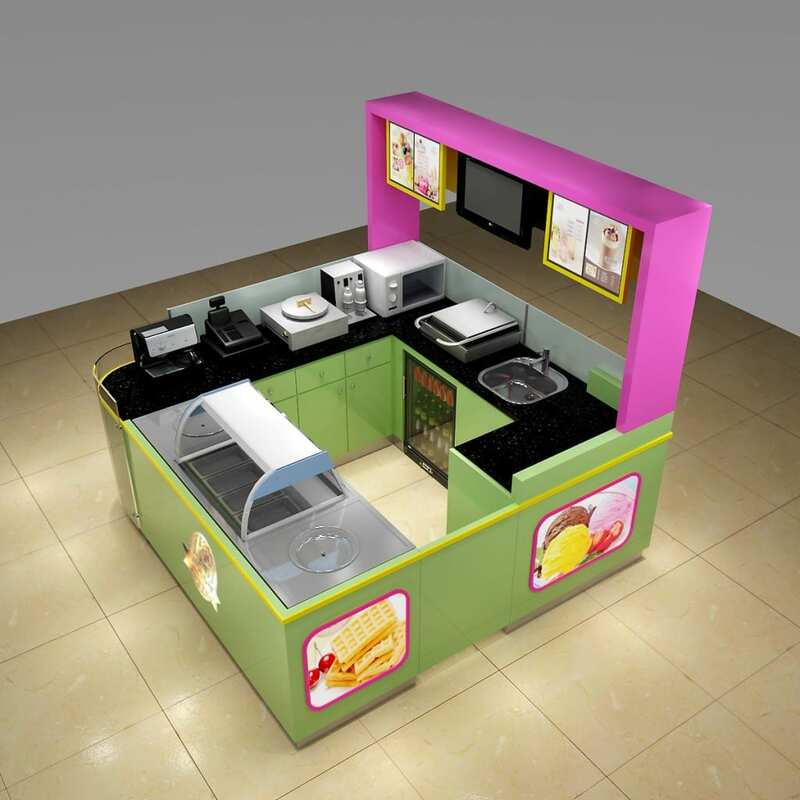 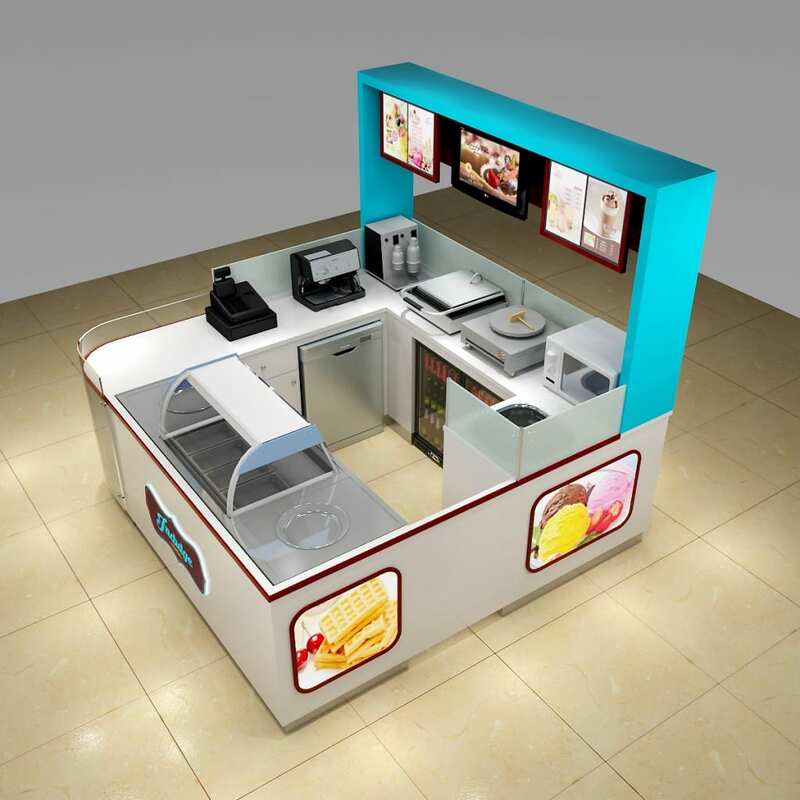 1,More design show of this ice cream kiosk for sale . 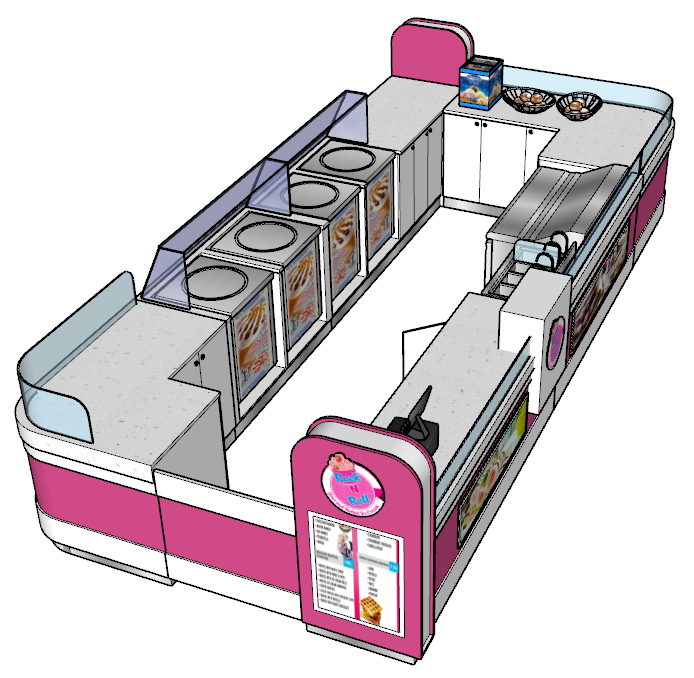 2,More info about the ice cream kiosk for sale. 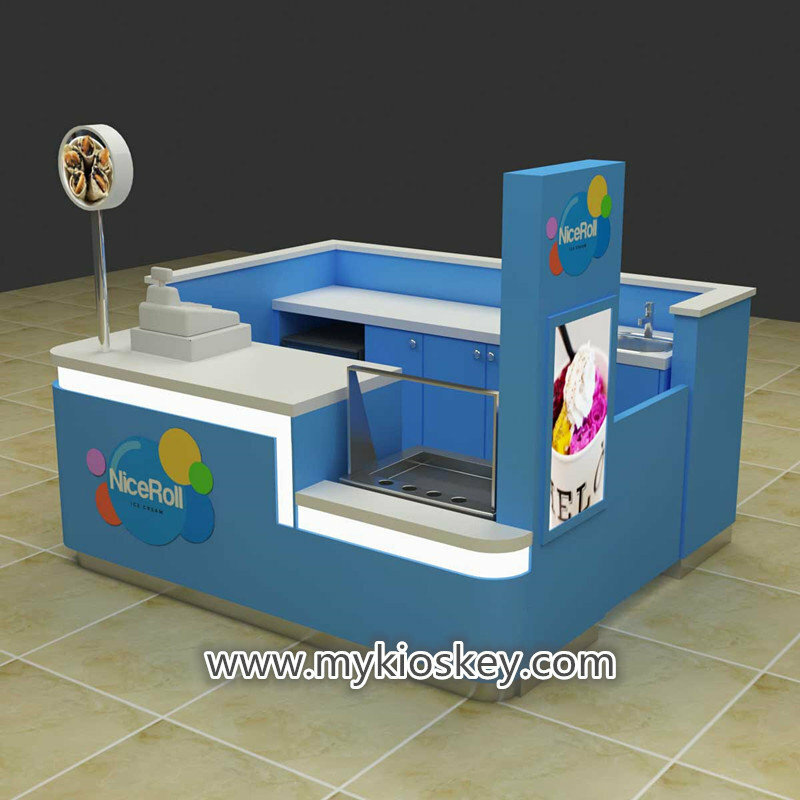 Application This display kiosk with enclosures, logo design, awning/platfond and lighting. 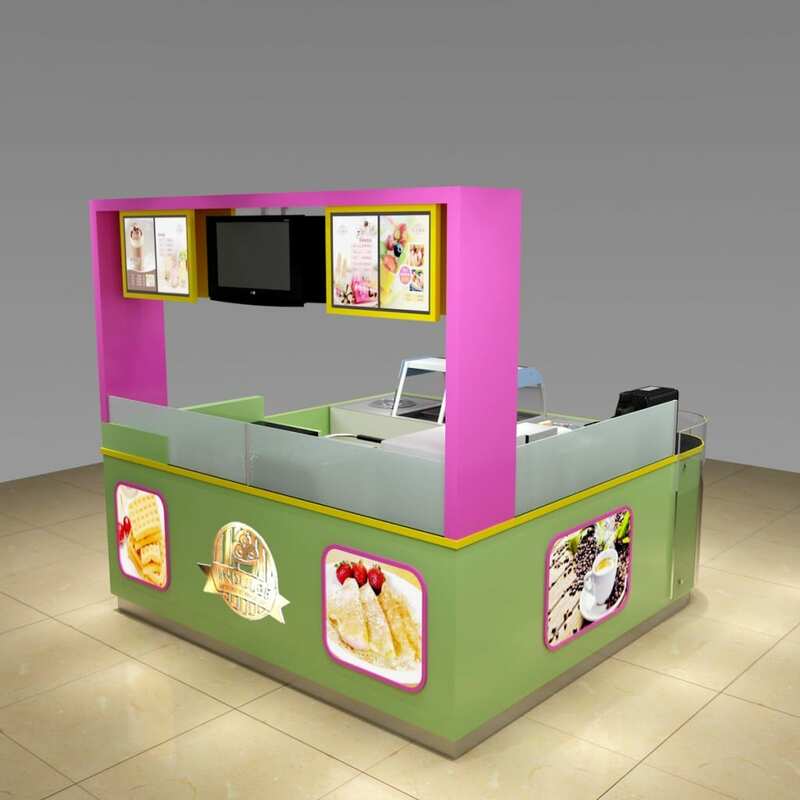 It can be use in shopping center, mall, store, shop, street, business hall to display different of product.